I don’t know much about Mexico. About a decade ago, I went to an all-inclusive resort in Puerto Vallarta, I can pronounce Tenochtitlan like a champ and last week, I reviewed a food truck that sells gourmet churros. That’s about the extent of my Mexican experience. But after seeing Sicario, I can almost feel the country’s dirt under my fingernails. Saturated in the sights and sounds of Juarez’s dark side, Sicario is a triumph of tension, intrigue and extraordinary acting. It’s also the first fantastic film of prestige season. 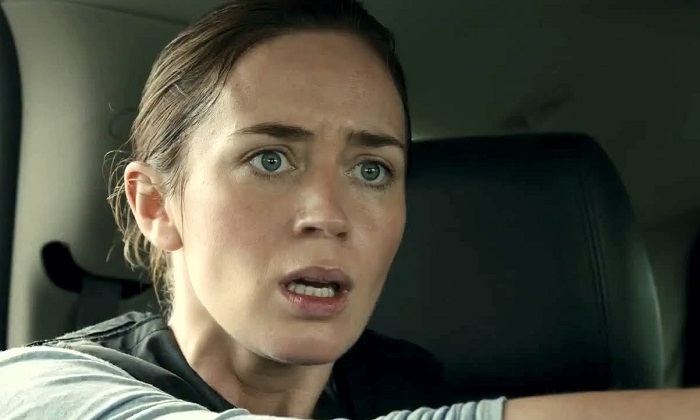 Emily Blunt plays Kate Mercer, an FBI agent fighting an uphill battle against the world of Mexican drug distribution. After an ugly incident during a raid, Kate is recruited by D.O.D. agent Matt Graver (Josh Brolin) to help hunt down the head of a narcotics cartel. Eager to make a difference, she accepts. But as she dives deep into the mission, her sense of morality gets tested as she learns the harsh truths of guerrilla style crime fighting. Going along for the ride is Alejandro (Benico Del Toro), a mysterious operative who looks to ride both sides of the fence. Quiet, intense and in full control of every situation, Del Toro is masterful. As the moral pivot point between Graver’s zeal for getting the bad guy and Kate’s “by the book” approach, Del Toro only gets better and better as the film rolls on. One of my first early picks for a Best Supporting Actor nomination. See this look of bewilderment on Emily Blunt’s face? Prepare to see this often in Denis Villeneuve’s Sicario. As Kate, Blunt is reminiscent of Clarice Starling from Silence of the Lambs. Equal parts eager and naïve, Blunt plays Kate with a confused tenacity: she’s constantly in the dark about the mission around her yet focused on learning the truth. As the man keeping her in the dark, Brolin is the grinning, almost playful puppet master. The interplay between the two, with Del Toro hovering in the background ready to strike, is spellbinding. 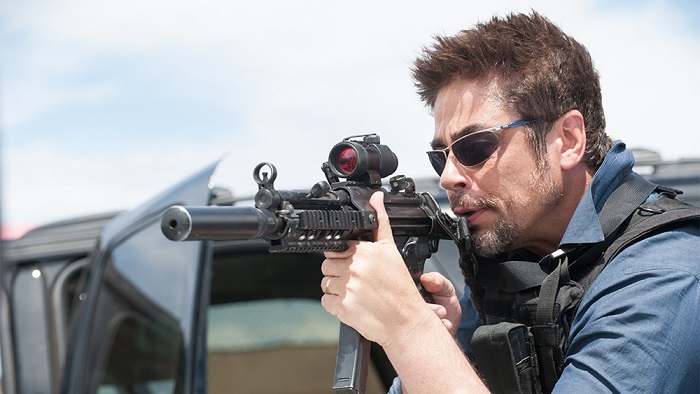 Sicario is also director Denis Villeneuve’s (Dallas Buyer’s Club, Prisoners) most visually stimulating film to date. 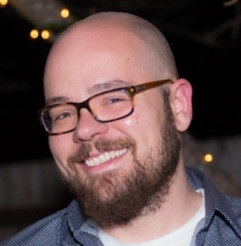 Using a variety of techniques, Villeneuve brings the action to life, especially in the final third. By employing a mix of aerial shots, thermal camera and night vision, the movie drops you into the shoes of a soldier with electrifying results. The gripping acting and engrossing visuals are backed by a sharply written story. Much like Prisoners, Sicario keeps you guessing at every turn as it hurtles towards a shocking, spellbinding conclusion. And remember what I said about the dirt under my nails? The setting of Juarez is authentically presented, not only in the scenery, but in the heart and struggle of the everyday family. I can’t say much more without spoilers, but some of the film’s biggest moments are built from quiet, humble scenes. By blurring the lines between good and evil, right and wrong, Denis Villeneuve has crafted his finest studio film to date. Pulse pounding tension, stupendous acting and a story full of surprises all combine to create one of the best movies you’ll see this month. While Oscar season is ramping up and fantastic films are on the horizon, Sicario will linger in my memory for months to come.